Independent analyst firm, Verdantix has recognized IsoMetrix as a Leader in the Verdantix Green Quadrant EHS Software 2019 Report. This report provides a detailed, fact-based comparison of the 23 most advanced digital EHS service providers. The assessment is based on the participating vendor's digital EHS capabilities and business growth momentum, a 383-point questionnaire, interviews with independent customers and a survey of 411 EHS consultants. The vendors are then placed into one of four quadrants: Leaders, Innovators, Specialists and Challengers. 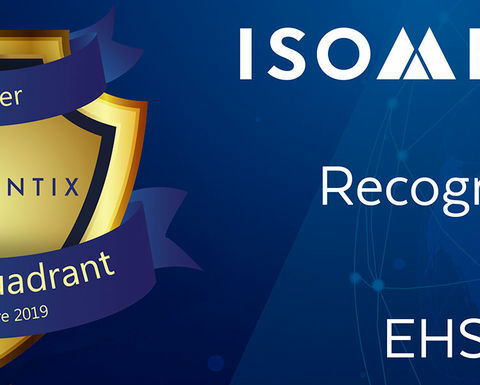 An EHS-centric GRC software company, IsoMetrix made the leap from Innovator in 2018 to Leader in 2019. This achievement emphasizes IsoMetrix's global capabilities, innovative product advancements and business growth. "We are extremely proud to be among the twelve products Verdantix has assessed to be Leaders in their latest Green Quadrant." says Paul Marketos, Co-Founder and Director for IsoMetrix. "To be recognised as a global Leader in the provision of EHS software is testimony to the spirit of innovation that has been a hallmark of IsoMetrix from the company's earliest days. I must also acknowledge the input from our customers over the years, as they have helped us shape solutions that embrace what the market is looking for. In the last three quadrants we have moved from Challengers to Innovators to Leaders and we are intent on maintaining this trajectory as we continue to invest heavily in R&D and our human capital". The report highlights IsoMetrix's capability for servicing high-risk industries seeking a strong vendor to bolster EHS hazard and safety management, stating that "Given IsoMetrix's strengths in safety, enterprise risk and sustainability management, it is best suited to large multinational firms in industries with medium to high risk EHS risks such as mining and metals, oil and gas, food and beverage, retail and logistics. IsoMetrix provides site-level and firm-wide visibility into safety, risk and sustainability management." In particular, the report commends IsoMetrix for its all-encompassing sustainability management, including social license to operate, affirming that, "IsoMetrix attained the second-highest score for sustainability management among the vendors. Given its exposure to South Africa and basic resource industries, IsoMetrix addresses sustainability management from the perspectives of 'integrated reporting' and 'social license to operate". "It is a wonderful achievement to be recognized as a Leader in the Verdantix Green Quadrant for 2019," says John Castner, Director for IsoMetrix in the Americas. 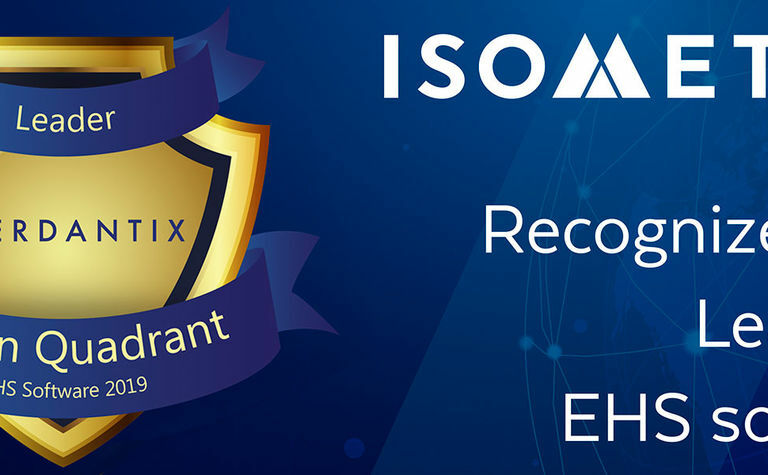 "It validates the remarkable international growth and hard work that the IsoMetrix team has put into creating a world-class, truly integrated EHS software solution. Mostly we want to acknowledge our customers who allow us to grow and push us towards continuous improvement and good business." IsoMetrix develops, deploys and maintains comprehensive, enterprise-level Risk Management software solutions. IsoMetrix software solutions are agile and fully customizable, able to build solutions that perfectly fit an organization's processes. The software is user-centric, with simple and customizable interfaces to ensure maximum workforce engagement. IsoMetrix has fully integrated solutions for Health, Safety, Environment, and Quality; Enterprise Risk and Compliance; as well as Environmental and Social Sustainability. IsoMetrix boasts offices in Johannesburg, Atlanta, Toronto, Melbourne, and Perth, with implementation partners on four continents. Enterprise-scale product architecture. The study only considered applications designed to scale up to multi-country, multi-site deployments for an enterprise with more than USD1 billion in annual revenues. All suppliers provided evidence of at least one customer implementation with more than 1 000 users in at least 10 countries.